Utah State flags have a blue field, which features the state seal. In the center of the seal is a beehive, the state emblem with a sego lily representing peace, on either side. The state motto "Industry" means steady effort while the eagle stands for protection in peace and war. The date 1896 represents the year that Utah gained admission to the Union of the United States. 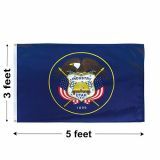 Our Utah flags will make perfect gifts, keepsakes and display items to show your pride and love for Utah. 100% made in USA, these commercial grade flags carry 6 months guarantee on construction.Shop from our complete line of Utah Flags right away and avail the best prices, quick shipping and much more! 100% customer satisfaction guaranteed! Our Utah flags are made to the exact specifications of the official flags. Available in all standard sizes that range from the compact 3’x5’ to the massive 8’x12’, we have flags for all your flag flying needs. Offered in two types of fabrics including nylon and polyester, our Utah flags are made to the finest precision and beauty. 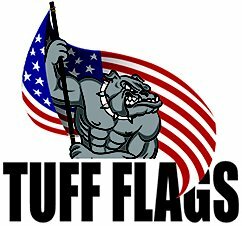 Featuring UV resistant Dupont ink and finished with 9oz.polysateen heading and brass grommets, our flags will retain its color and beauty for a long time. Choose from indoor flags, outdoor flags or the indoor flag kit in solid oakwood that comes with all the items that you may need to set up a spectacular flag display including ornaments, tassels and pole. Fly it in your garden or bring it indoors, no matter how you wish to express your state pride, our flags will make a great way to express it. 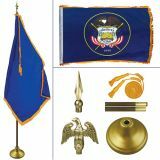 Browse our complete line of Utah State Flags and shop from all the different models in stock. 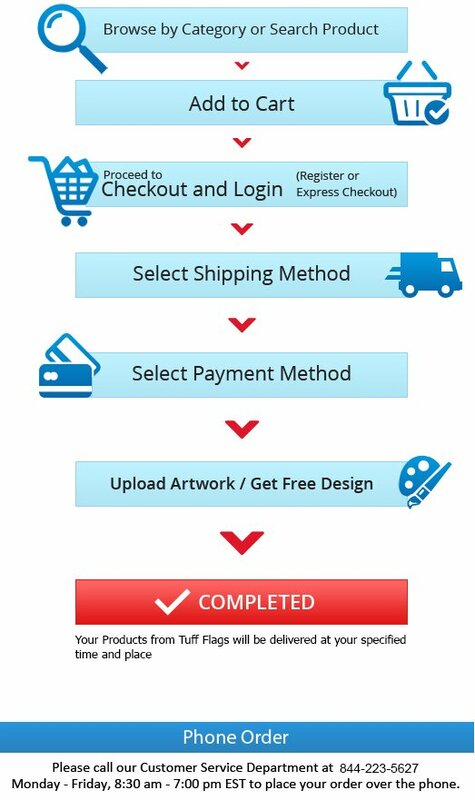 Need help?Call our toll free number (888) 287-3524 or email at customercare@tuffflags.com.